Hostname is defined as label or name of a computer and network device. 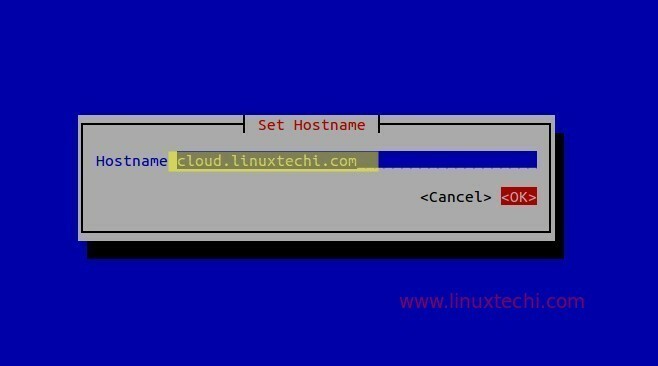 In this article we will discuss how to set and modify hostname on CentOS 7 & RHEL 7. There are three different commands through which we can query, set and modify hostname. Types of Hostname that we can set on CentOS 7 and RHEL 7 server. Static Hostname — It is conventional hostname that we set on the servers and as the name suggest hostname will be static and persistent accross the reboot.Static hostname is stored in the file /etc/hostname. Transient Hostname — It is the hostname which is obtained from DHCP and mDNS. Transient hostname might be temporary because it is only temporarily written to kernel hostname. Pretty Hostname — It is a hostname that can include all kind of special characters. Pretty hostname is stored in the file /etc/machine-info . 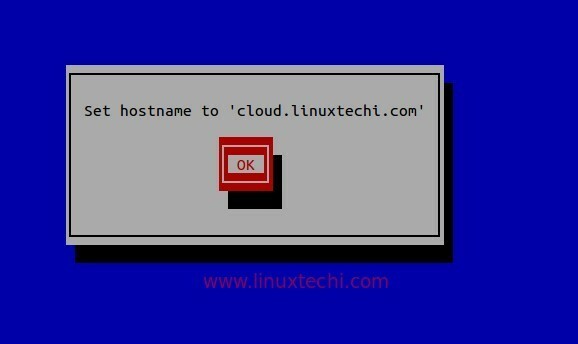 [[email protected] ~]# hostnamectl set-hostname "cloud.linuxtechi.com"
[[email protected] ~]# hostnamectl set-hostname ""
Set Hostname on the Remote Server from your local machine. Above command will use ssh for connecting and authentication for remote server. 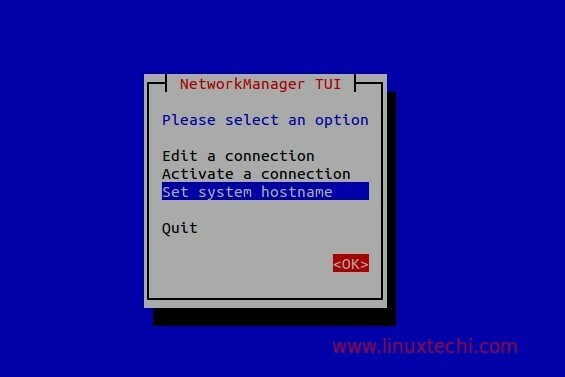 nmtui stands for ‘Network Manager Text User Interface‘, it is a text user interface which is used to configure hostname. Select “Set system hostname” and then click on OK.. Type the hostname whatever you want to set and then click on OK.
nmcli is a command line utility for configuring and query hostname.